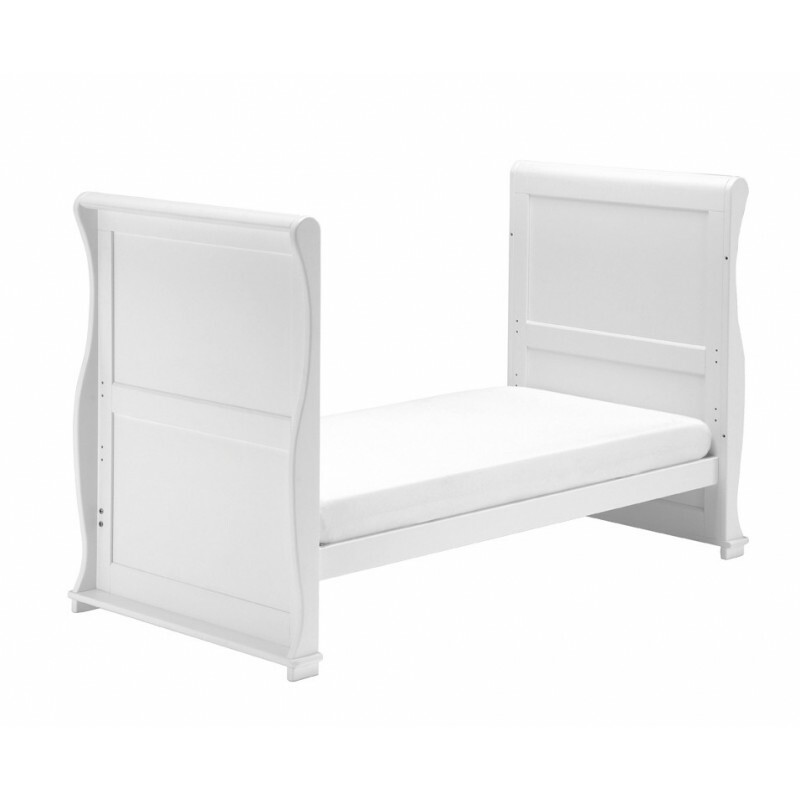 >East Coast Alaska Sleigh Cot Bed-White + Underbed Drawer! 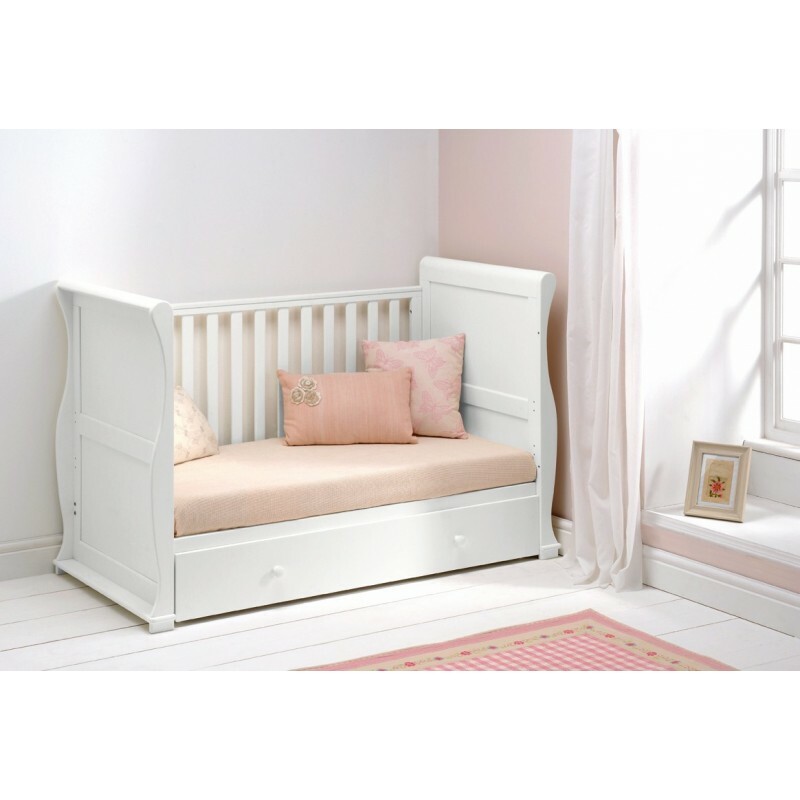 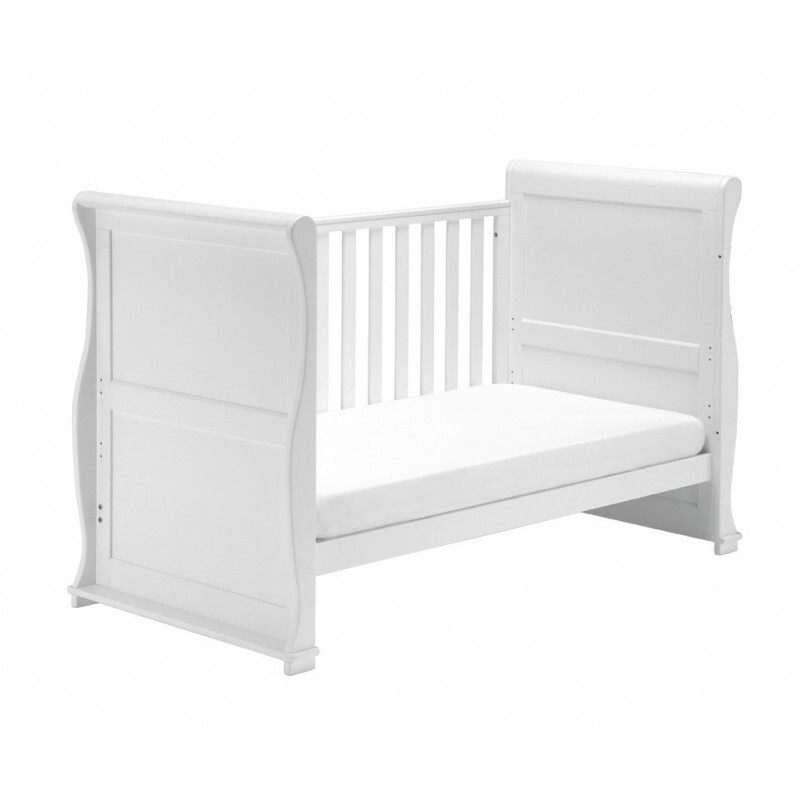 The Alaska Sleigh Cot Bed is multifunctional as well as stylish and will compliment any nursery. 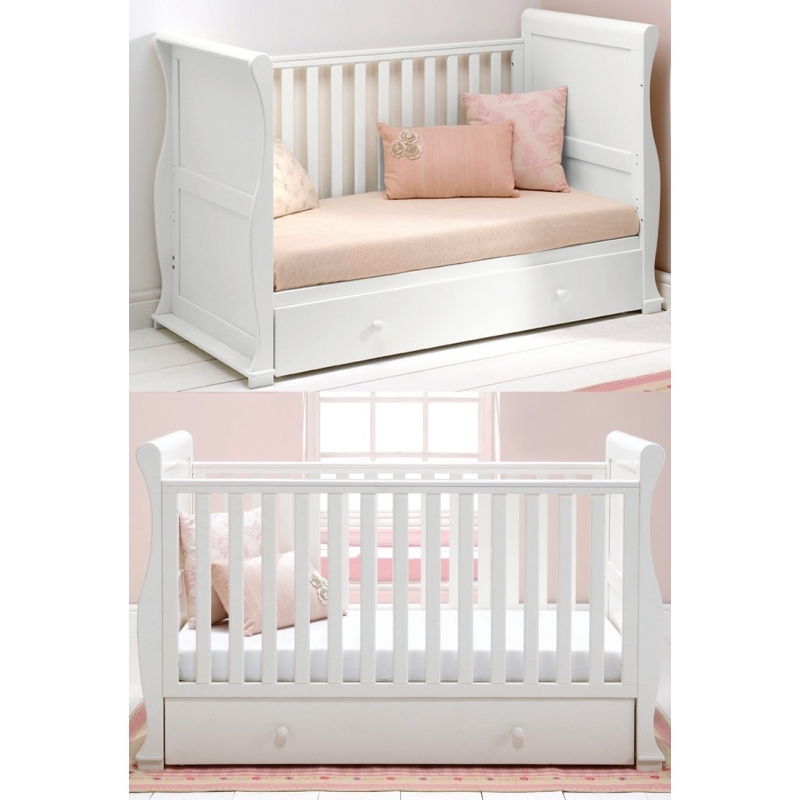 It converts to a day bed and a toddler bed and has a storage drawer underneath. 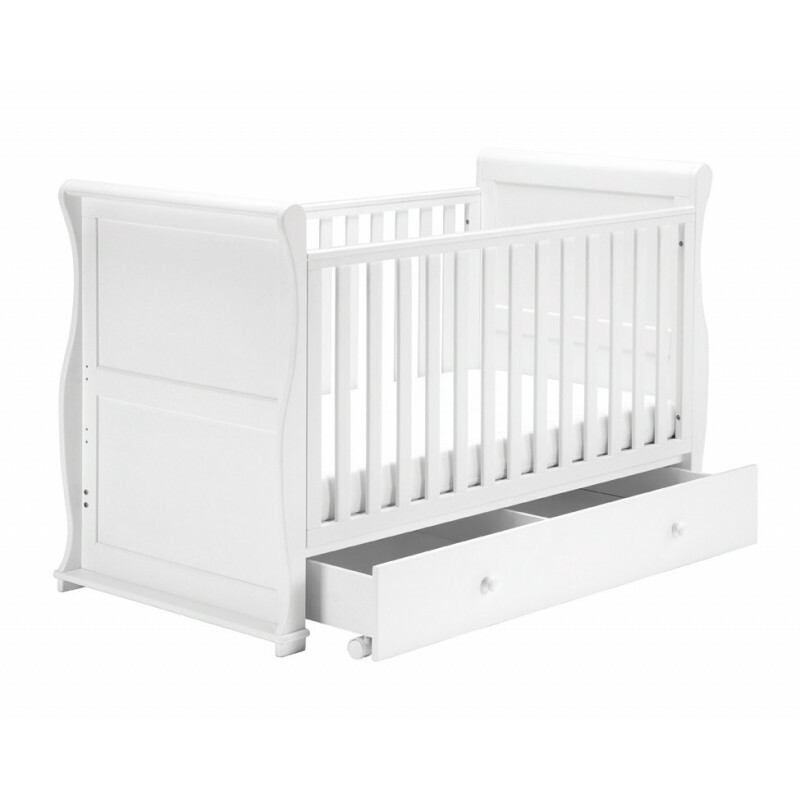 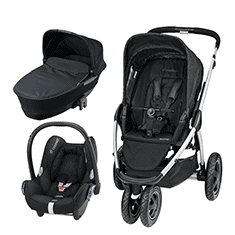 It has 3 base heights and 2 fixed sides and takes a standard mattress size 140 x 70cm.